The City Art Centre is home to the City of Edinburgh's art collection. It includes some 4,800 works including histroic and modern Scottish paintings, drawings, prints, photographs and watercolours. There are also contemporary arts and crafts. Originally, the collection consisted primarily of civic portraits and views of Edinburgh dating back to the 17th century. However, in 1964, the Scottish Modern Art Association donated 300 paintings, which not only increased the size of the collection but significantly broadened its scope. The collection has continued to grow through gifts, donations, bequests and purchases. It is now quite diverse in style including historical works from a number of periods as well as contemporary works. The focus is on Scottish art and so the collection includes works by such major Scottish artists as Allan Ramsay, Sir Henry Raeburn, and William McTaggart. The Scottish Colourists and the Glasgow boys are also represented. Home to the collection is a nine-story historic, former warehouse built between 1899 and 1902. The building was converted to a gallery in 1980 and has five floors of exhibition space. Even though it is a sizable building, not all of the collection can be displayed at once. Therefore, the collection is displayed through rotating exhibitions. 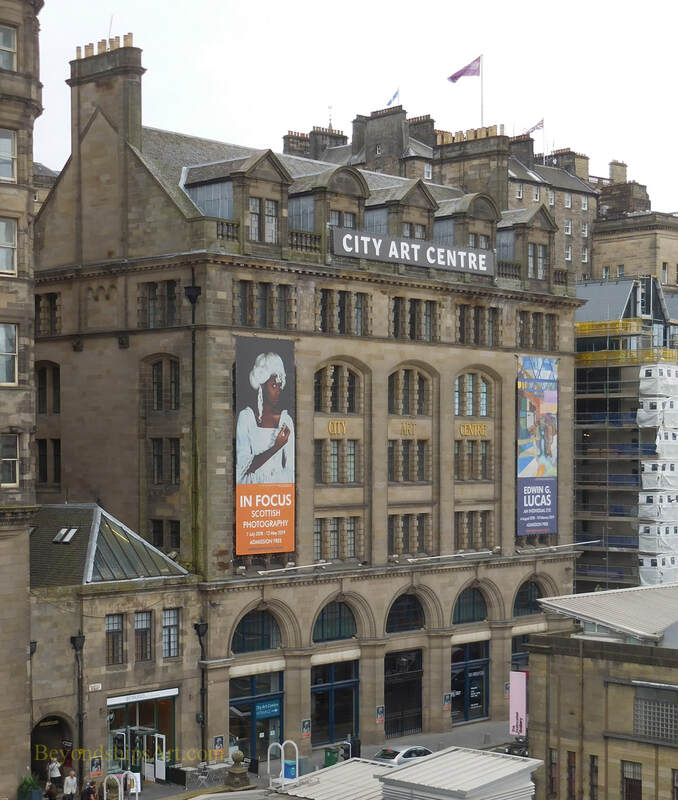 The City Art Centre is located on Market Street close to Waverly station. It is a short walk to many of Edinburgh's popular attractions including the Scottish National Gallery. For information about visiting, see the City Art Centre's web page.